The State of Papua New Guinea has been unsuccessful in its attempt in the Singapore High Court to wrest control of the remaining assets of PNG Sustainable Development Program Ltd (PNGSDP), worth US$1.4 billion (K4.72 billion). The PNG State has been pursuing the cash assets of PNGSDP since the controversial effective nationalisation of PNGSDP’s major asset, the Ok Tedi copper mine (PNG’s largest operational mine) in 2013. PNGSDP, a not-for-profit limited liability company registered in Singapore, was established in 2001 as part of the deal to allow Australian mining giant BHP to exit the Ok Tedi mine following a major environmental disaster at the mine in 1999. PNGSDP’s purpose was to manage the proceeds of the mine for the development of the people of Western Province, with two-thirds of its funds to be set aside for developing the province once the Ok Tedi mine closes. Between 2001 and 2013, PNGSDP played arguably the major role in the economic development of Western Province, one of PNG’s most remote and undeveloped provinces. 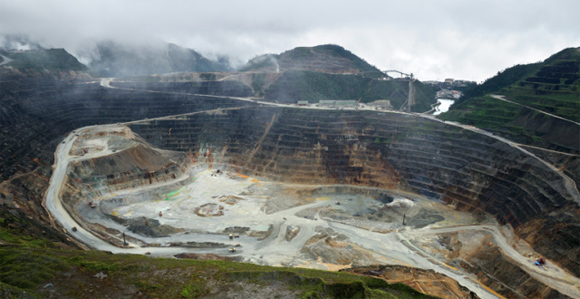 Following its 2013 nationalisation, Ok Tedi Mining Ltd is now owned by state-owned Kumul Mineral Holdings and its revenues flow to national coffers. However, PNGSDP’s long-term fund of US$1.4 billion still resides in Singapore where the company is registered, hence the hearing before Singapore’s High Court. In a detailed 149-page judgment, Justice Vinodh addressed each of the arguments made as he explained why the state had failed in its bid to wrest control of PNGSDP from its independent board. ‘I acknowledge I found the state’s narrative compelling and its logic attractive. But the essential problem … is that this narrative stands alone and is unsupported by the evidence,’ he said. The PNG Government has indicated it will not be walking away from the case. ‘I will appoint an independent Commission of Inquiry in two weeks to establish the facts once and for all. In addition we will appeal the court’s decision as the court acknowledged that there was an arguable case,’ Prime Minister Peter O’Neill reportedly told The National newspaper. The full implications of the legal decision are not entirely clear at the time of writing but it appears on the surface that PNGSDP is now legally free to exercise control over its Long Term Fund, and disburse the moneys in it within Western Province as originally intended. However, it should be noted that the money in the Long Term Fund is only due to be disbursed when the Ok Tedi mine closes. With the mine still operational and the current board of the mine looking to extend the life of the mine, it remains unclear when the funds will be available to benefit the communities of Western Province. ‘There needs to be a change in the Program Rules, so that “Mine Closure” is no longer the “trigger”, in order to allow some of the capital to be also draw down each year from now on,’ Warren Dutton, Chairman of North Fly Rubber Limited and a Western Province businessman of many years standing, tells Business Advantage PNG. ‘For a relatively small amount of annual funding, PNGSDPL could very effectively supplement the funding supporting the marketing and transport of rubber, which is now being provided by the FRPG [Fly River Provincial Government] and the Member for North Fly. Distance from Port Moresby: 434 kilometres. Air Niugini flies from Port Moresby to Daru twice weekly. The flight time is 1 hour 10 minutes. Sectors: Copper, gold, gas, rubber, forestry, aquaculture, tourism. Discover more about Western Province in our business guide. Wow. I am happy and sad at the same time. The government does not have access which means the funds will be still there but not sure what their plan is to help the Western Province. Does PNGSDP have a 5 year plan? Because currently, it’s only the mine that is helping in a little way through OTDF. But again the money goes to the land owner groups and the majority of the fund get’s consumed. If PNG had access, there will be no doubt cash coming into the country but again the money will not reach the people of Western Province but will get lost along the way. Yeap the fund is making more money with the investment they have on their bills but my only concern is the time of at least engaging big funds to a project which will significantly help the population of Western Province is the issue.